In the wake of what has been called the three major liberations that transformed Western art music in the 20th century--Schoenberg's liberation of the dissonance; Russolo and Varèse's liberation of noise; Cage and Feldman's liberation of silence--a tradition that had formerly been grounded in the common language of tonality found itself opened up to a seemingly irreducible heterogeneity of styles, materials, and compositional concepts. To be sure, there were other factors, some of them extra-musical, contributing to what in retrospect seems a dramatic reorientation of the classical music tradition, but in the wake of the last century's radical reimagining of musical practices, the norms and conventions first set out in the 17th century were dismantled, seemingly for good. The question that has come up since then is, what, if anything has replaced them? The years running from approximately 1610-1910 are known as the era of common practice. Common practice encompassed stylistic norms expressed through major and minor keys, which were themselves built around the diatonic scale and associated triads and rooted in the relationship between tonic and dominant. The asymmetry of the diatonic scale--its distribution of five whole steps and two half-steps--was the engine behind the music's harmonic movement away from and toward a stable point of resolution and rest on the tonic. The theory behind Common Practice was codified in Jean-Philippe Rameau's 1722 Traitè de l'harmonie; even after Western art music began in the early twentieth century to move away from the diatonic tonality associated with common practice, something of it survived in jazz and popular music of the mid-twentieth century. Common practice isn't a style per se, but instead is a set of more or less flexible conventions in relation to which a style or styles can be constructed. For the historical common practice those conditions were defined in terms of tonality and functional harmony, no matter how loosened; styles built over that foundation naturally would incorporate structures and devices with reference to tonality. In the absence of tonality, the question arose as to what would form the foundation for post-common practice styles. One answer was atonality, or as some prefer to call it, pantonality. Consider that if common practice is a set of underlying principles or assumptions regarding musical materials and structures, then it's possible to see the principles of the dodecaphonic music of the twentieth century as constituting a common practice for the modern era. In fact, in 1989, composer George Perle suggested something just like this in his Ernest Bloch Lectures. There, he argued for "a new mainstream tradition" in 20th century music, beginning around 1909-1910 and deriving from the work of Scriabin, Schoenberg, Webern, Berg, Bartok and Stravinsky. In place of the tonal asymmetry that provided the foundation for common practice in the classical era, this new common practice would be founded on the symmetry of an octave as divided into twelve pitches at equal intervals. Within such a symmetrical scheme there would be neither the tonic-dominant relationship nor the pitch hierarchy that structured the old common practice; there would instead be a different set of ground rules allowing for a range of applications. And dodecaphonic symmetry did serve effectively as the "universal set" that Perle described. For although twelve-tone composers in Europe and North and South America came up with different methods and styles of music, the underlying principle of twelve-tone music--that the twelve tones of the tempered octave be arranged in relation only to each other equally rather than in reference to a keynote--formed the basis for what was, in effect, an international musical language. It was a language expansive enough to include the possibilities of different dialects. Although the extent to which twelve-tone music was dominant within the larger field of postwar composition is arguable, that it was prominent and that, inclusive of many regional and personal variations, it provided a touchstone for the practices of composers across national boundaries, seems fairly uncontroversial. Perle's suggestion that twelve-tone music represented a new tradition or common practice was reasonable, but came somewhat after the fact. His lectures were delivered at a time when twelve-tone composition no longer enjoyed the preeminence that it had had at mid-century. Even by the 1970's, with the rise of Minimalism and neo-Romanticism as well as a thriving parallel current of experimental music based on chance, unpitched sounds, performance art, non-Western musics and various heterodox sources, Western art music encompassed a plurality of styles and possibilities that would seem to have rendered the very notion of a common practice moot. Practices there were, but they apparently were uncommon. But did this heterogeneity preclude the possibility of a common practice? Composer Alvin Curran didn't think it did. In his "The New Common Practice," a manifesto-like article published in 1994, he claimed that the new common practice--which he colorfully described as "The 21st century Theme Park"--consisted in the "direct unmediated embracing of sound, all and any sound" which was itself "the inevitable result of our being at last freed of all rules, stylistic conventions, codes and even ethics," the consequence being that "ALL MUSICS SHOULD BE POSSIBLE." As a programmatic statement this emphatic claim doesn't, from the perspective of the early 21st century, seem unreasonable, but it has little to say about what practices--specific, concrete techniques, principles and methods from which actual musical works can be made--would in fact to into making up a common practice. As composers, both Perle and Curran naturally looked to the compositional field for the possibility of defining a new common practice. But it may be that looking for a new common practice in terms of compositional structures and operations is like the proverbial nocturnal search for missing car keys under the only available streetlight. Looking elsewhere--specifically, to performance techniques as they've developed since the mid-twentieth century--may actually help turn up what's being sought. Partly in response to the expanded range of sounds called for in new music, and partly as a result of development for their own sake, the set of standard instrumental techniques from the postwar era onward has grown to include gestures and usages of a once-unconventional sort. 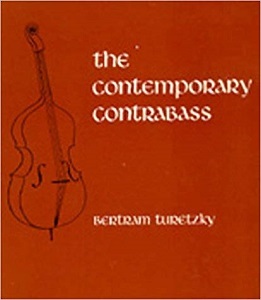 A landmark book like Bertram Turetzky's The Contemporary Contrabass, for instance, published in 1974, did for advanced double bass playing something like what Rameau's treatise did for common practice harmony: collected and codified the state of the art. Turetzky's book was the first of what would become a series of technical treatises, published by the University of California Press as the New Instrumentation series, treating extended techniques for flute, trombone, clarinet, guitar and pedal harp. These publications represent the culmination of a period of intense research and innovation, the 1950's, �60's and �70's generally having been a time of technical discovery and advance. Composers began writing with specific extended techniques or technically advanced instrumentalists in mind, while the instrumentalists themselves experimented with further augmenting the ways their instruments could be played. The present would seem to be a time of refinement and routinization in that these techniques have become, if not entirely mainstream, at least widely enough adopted to serve as the lingua franca of an international style. Consider, to start, a good number of recent, exemplary releases and performances of music for strings. 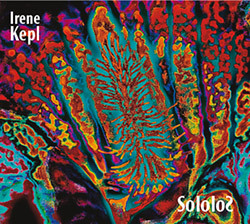 Violinist Irene Kepl's SololoS is an intriguing recording in which each piece consists in variations on a gesture or technique; in her recent performance at the 2017 Sonic Circuits Festival, she played a breathtaking solo set in which many contemporary string techniques were on display: left hand pizzicato counterpointing right hand arco; percussive bowing of the instrument's strings and body; sliding harmonics; pressure bowing, and more. As on SololoS, Kepl enlisted all these different techniques in the service of a coherent musical statement. Similarly, on his outstanding first solo release, 2017's asinglewordisnotenough, cellist Seth Parker Woods interprets several contemporary compositions with expansive, gesturally-based techniques that open out to broad avenues of sound. As with much new string technique, Woods's tells much about the relationship of the body to the instrument and through it to the sound; as important as pitch or harmonic material is what he calls the "choreographic performance" of playing the cello. Further down the string compass, double bassist Kyle Motl's performance practices embrace many of the techniques invented or refined by the late virtuoso Stefano Scodanibbio, particularly the vigorous, two-handed harp pizzicato that provides a mainstay of his solo performances. 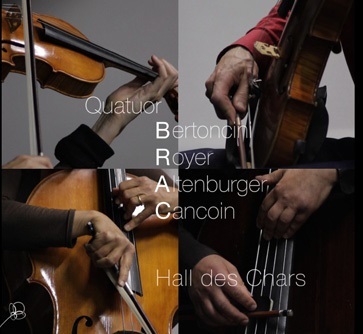 The Quatuor BRAC, a string quartet consisting of violinist Tiziana Bertoncini, violist Vincent Royer, cellist Martine Altenburger, and double bassist Benoit Cancon, has the virtue of creating a string quartet sound almost exclusively made up of aggregates of the individual performers' quite personal engagements with extended techniques of diverse sorts. The Quatuor BRAC is an improvising quartet, but the contemporary string techniques they specialize in have played a fruitful role in driving new compositions for the venerable string quartet as well. Witness the washes of string-produced white noise that composes Scott Wollschleger's haunting White Wall, or the collision of harmonics in Richard Karpen's Aperture II, or the aggressive glissandi, col legno battuto and grinding of bowhair on string of Lewis Nielson's Le journal du corps. New and recent releases featuring wind instruments are no less exciting for what they tell of the state of the art. On his solo recording Ism, saxophonist Ryan Muncy realizes compositions ranging from James Tenney's Saxony of 1978 to Erin Gee's 2015 Mouthpiece XXIV, all of which elicit performances of extreme technical ingenuity. Flutist Orlando Cela's solo work, as encapsulated in his realization of composer Jean-Patrick Besingrand's recasting of Debussy's Syrinx, blends conventional and extended techniques into an organic whole. Clarinetist Michael Thieke has built virtually entire performances out of air notes and unpitched sounds bearing the distinct marks of breath; a recent live set in duet with violinist Biliana Voutchkova demonstrated the musicality of highly textured sounds. The Clinamen Trio, made up of clarinetist Jacques di Donato, double bassist Louis-Michel Marion and violist Philippe Berger, takes the string-woodwind ensemble just as far into the musical borderlands. Much further down the compass, John McCowen's solo performances with the contrabass clarinet create quasi-electronic soundworlds out of multiphonics and overtones. 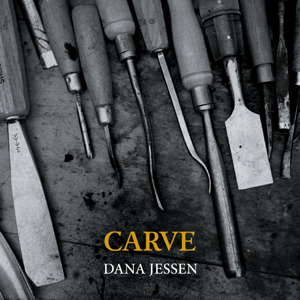 And bassoonist Dana Jessen's superb debut solo recording Carve collects several specifically-commissioned works that draw on Jessen's fluency in creative ways of playing her instrument. The pieces on Carve are notable for having been composed in collaboration with the performer, whose improvisations served as the starting point for the pieces. This kind of composer-performer collaboration is something of a hallmark of the new common practice, one in which the composer composes as much for the instrument as interpreted by a specific performer as for any purely compositional practices (i.e., compositional practices as considered independently of their concrete realization by a given player on a given instrument). The extended range and timbre of the instrument, as these can be drawn from it by a particular player, make up the content of this type of new music. The classic example is Luciano Berio's series of fourteen Sequenzas, composed between 1958 and Berio's death in 2003. These works, drawing on the most advanced techniques of the day, were written for particular instrumentalists with their input. Sequenza I for flute was composed for the virtuoso Severino Gazzeloni; the final piece, Sequenza XIVb for double bass, was an adaptation of Sequenza XIV for cello. 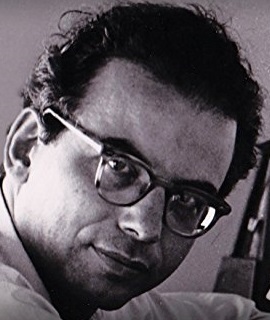 Sequenza XIVb was written in collaboration with Scodanibbio, whom Berio asked to "reinvent" the work using the performance techniques Berio had heard Scodanibbio use. 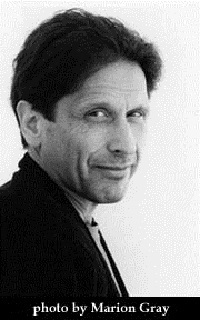 Composer Roger Reynolds similarly worked with double bassist Mark Dresser on the paired imagE/imAge pieces, basing them on Dresser's particular vocabulary of extended techniques. Yet another example from the double bass literature, Nielson's operatic-theatrical duet Il Romanticismo di Cesare e Lucrezia, was written for soprano Sara Perez and double bassist Matthew Kline, many of whose gestures were integrated into the piece. The above represents an almost randomly chosen, and necessarily limited, sampling of challenging music indebted to the international language of advanced technique--a starting point for the curious listener rather than anything claiming to be a systematic survey. And one could certainly add any number of other names, not only of string or wind musicians, but of percussionists and brass instrumentalists as well. The present is rich with exploratory music created or realized by technically adventurous instrumentalists. If a current common practice is to be found in advanced performance techniques, then a couple of interesting implications follow. The first concerns the sound worlds that tend to be produced by these techniques--and thus what the new common practice will tend to sound like. The second concerns the way these techniques can be generalized across different types of new music--and thus how these once uncommon ways of creating sounds are, or can be, a truly common musical currency exchangeable across genres. With their employment of hitherto unusual gestures and their play over hitherto unused parts of the instrument, extended techniques make for a range of timbres that goes beyond what conventional techniques can produce. If the new common practice emphasizes the extension of technique into areas productive of pure or unusual sound colors, it puts a strong emphasis on a musical parameter--tone quality--that was of secondary consideration to the old common practice. If under the latter timbre was subordinated to pitch, under the former pitch is often subordinate to timbre, as can readily be heard in works such as White Wall or Aperture II and many others like them. The second implication--that a common practice based on performance techniques is as appropriate to music outside of the tradition of Western art music, as ordinarily understood, as it is to music within that tradition--is borne out by the fact that many of the artists mentioned above are accomplished improvisers as well as, or even instead of, skilled interpreters of others' compositions. In fact, freely improvised music centered on the sound worlds and technical resources of contemporary performance practices has come to form the basis of an important international style in its own right; several labels, Portugal's Creative Sources, Italy's Amirani and Greece's Plus Timbre among them, specialize in making available high quality work of this kind. But really, this is nothing startlingly new. 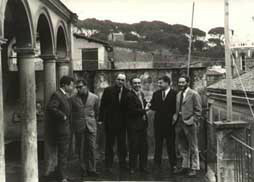 Early improvisational groups such as the Gruppo de Improvvisazione Nuova Consonanza or the New Music Ensemble were not only made up of conservatory-trained composers and performers, but they explored new ways of playing their instruments as well as new ways of playing together without preexisting structures. In addition, the source of at least some of the currently used, advanced techniques for reeds can be found in in improviser/composer Anthony Braxton's 1969 recording of pieces for solo alto saxophone--a reminder that technical innovation is no monopoly of the classical tradition. The "common" in "common practice" may no longer mean "universal"--the heterogeneity of musical practices would seem to be preclude anything like a universally accepted set of conventions--but may instead mean "common to musics beside and beyond Western art music." If this is so, then along with bringing an expansion in the repertoire of techniques, contemporary performance practices, to the extent that they serve as the foundation of a creative principle applicable to music beyond genre, bring as well an awareness of the permeability of musical boundaries.